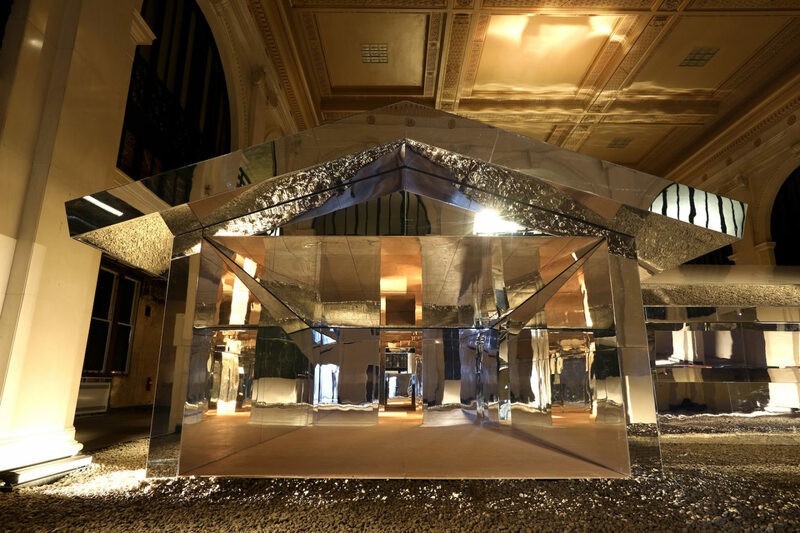 American artist and filmmaker Doug Aitken created a large-scale installation made entirely out of mirrors that takes the form of an American suburban home. 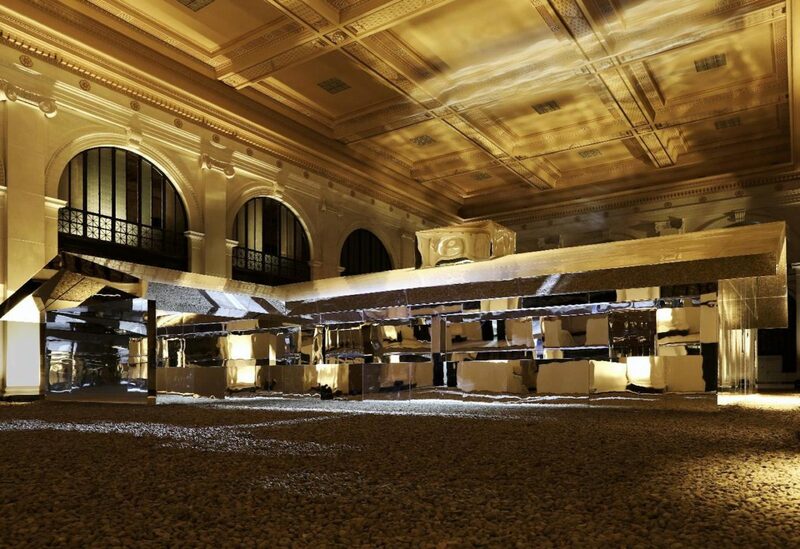 ‘Mirage Detroit’ exists inside the former State Savings Bank, an architectural building in downtown Detroit, Michigan. The project follows Aitken’s earlier Mirarge House — a site-specific mirrored sculpture of a home set in the middle of the Californian desert. 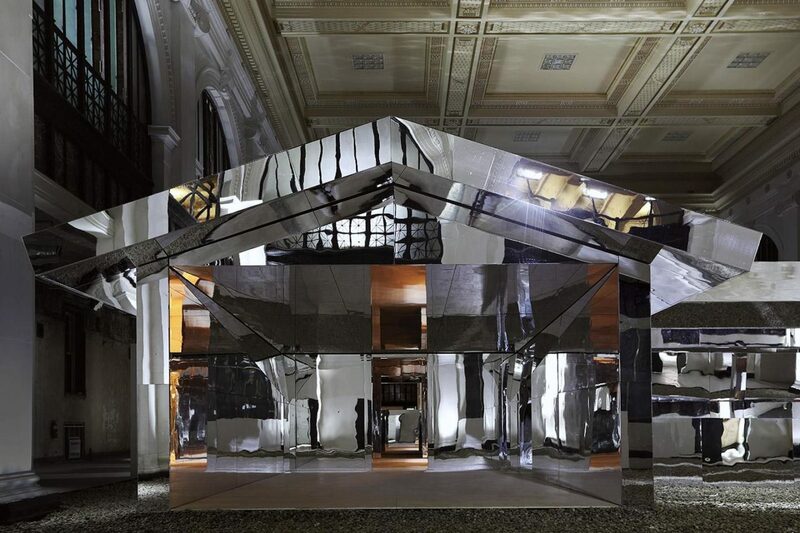 However similar the two installations may be though, ‘Mirage House’ functioned as a polychromatic prism of desert colours in the vast natural landscape; whereas ‘Mirage Detroit’ is situated in virtually the opposite environment: in a contained space with Roman arches, a textured roof and no natural light. The century-old bank itself sat unoccupied in the midst of Detroit for several decades. Aitken collaborated with set designer Andi Watson to compose a light show that illuminates the installation, creating a fluid relationship with the surrounding man-made environment. 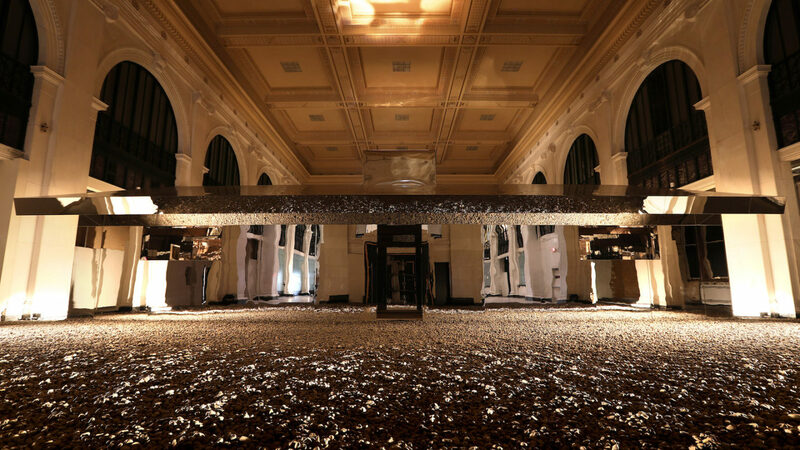 Underneath ‘Mirage Detroit’, the white marble floor was lined with a bed of raw rock stones from a local riverbed. 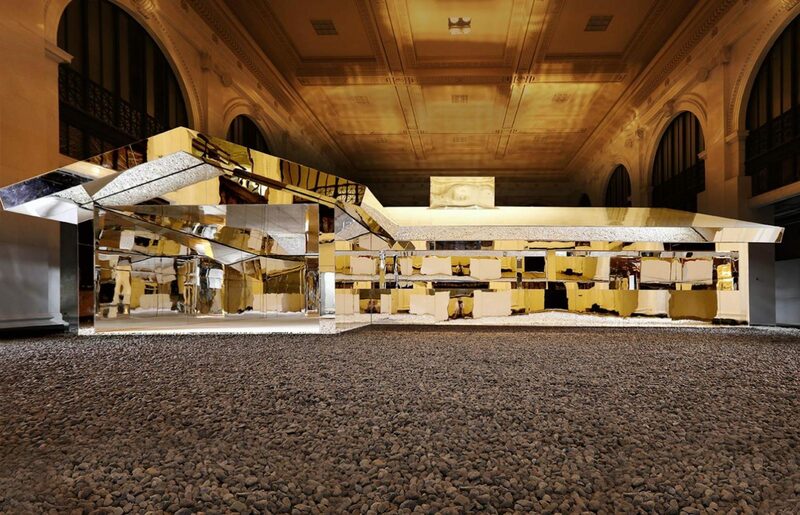 Speaking of the decision to situate the installation in such a location, Aitken explains in an interview, “It’s been bankrupt, it’s been dormant, it’s been crowded.” The aim therefore, was to breathe life into the space: “To give the architecture a heartbeat”.